Healthcare Professional “Burnout” is just as real as physician burnout. We discuss how to avoid and understand this phenomenon, and if you are headed that way, how to minimize it’s impact to your overall mental health. Staff burnout is real. Someone on the medical staff is the first face a patient sees when they come to the physician’s office. As medical industry professionals, it’s just as important to address the business office, the administrators, and the back off staff, and their potential for burnout, as it is the physician. 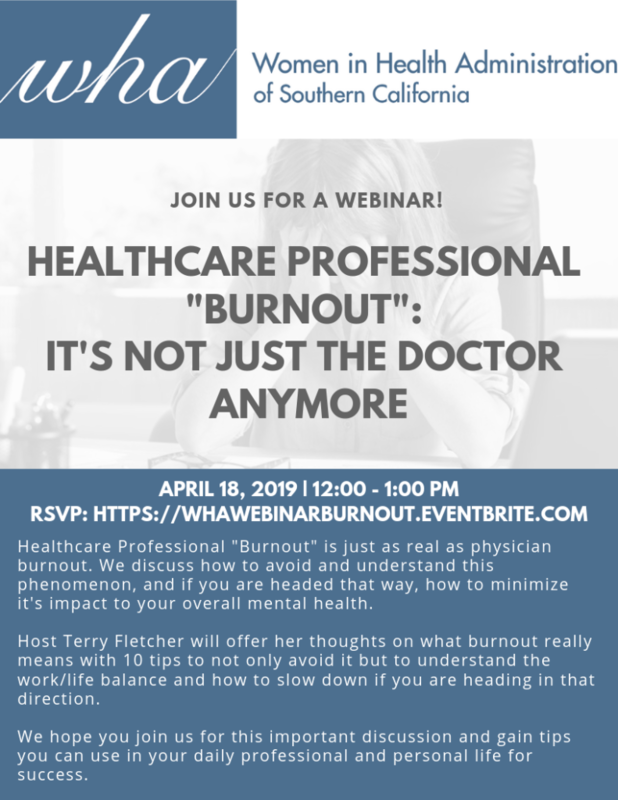 Terry will offer her thoughts on what burnout really means with 10 tips to not only avoid it but to understand the work/life balance and how to slow down if you are heading in that direction. We hope you join us for this important discussion and gain tips you can use in your daily professional and personal life for success. Ms. Terry Fletcher is a Specialty Coding Industry Expert, Auditor and Educator based in Southern California. Ms. Fletcher has over 30 years experience in the medical coding and billing industry. Terry is the author of several coding publications and well as a practice auditor for many specialty practices around the country. Terry holds a bachelor’s degree in economics, multiple certifications in coding and her proficiency certification in ICD-10-CM. Terry is a National Speaker for AAPC, AHIMA, MGMA and Decision Health. Her specialty expertise includes: Cardiovascular, Gastroenterology, E/M Coding, Orthopedics, Telemedicine, Medical Record Auditing, and Interventional Radiology. An email will be sent out to registered participants a few days before the event with webinar link and information on how to access the webinar.